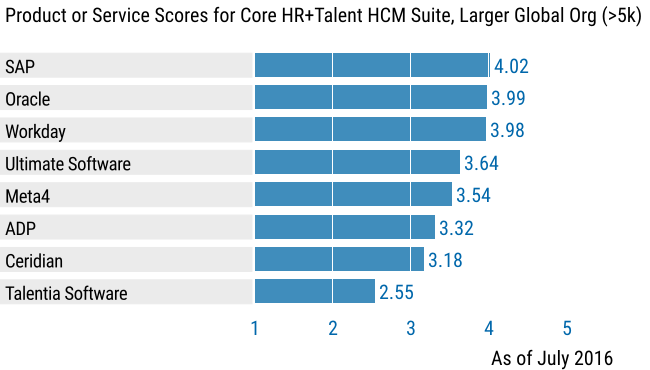 Core HR + Talent HCM Suite, Larger Global Org (>5k workers) – the breadth and depth of functionality and HR localization support resulted in the top score for this use case. 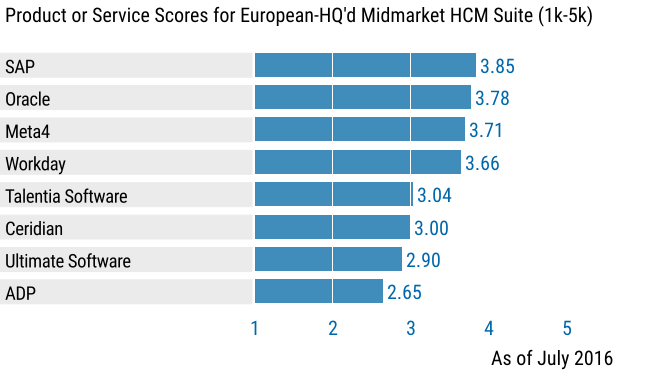 European Headquartered Midmarket HCM Suite (1k-5k employees) – SAP SuccessFactors scored first amongst the evaluated vendors. While this Gartner report is industry agnostic, the results also apply to public sector organizations. You can access the 2016 Gartner report here. Also be aware of SAP’s press release and the blog post from Yvette Cameron.